Watching movies can be a quite common entertainment in your daily life. But do you know that movies can offer many benefits to your kids? Movies can help kids in learning stories of different cultures and can enhance their language skills. Socialization and understanding how to work in a group are other benefits that children can gain by watching movies. Moreover, family time spent together while watching a movie can give a rise to family bonding as well. Animated movies are among the best ones for kids that can offer them both entertainment and plenty of things to learn. 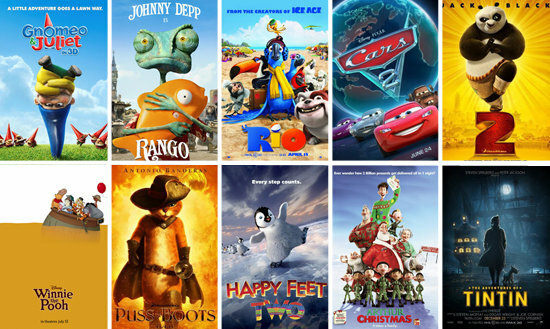 Here is a list of the 10 best animated movies for kids. 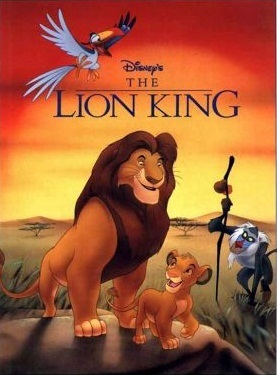 Description: The LionKing is one of the most popular animated movies for kids. It tells the story of a young lion cub who loses his father and his kingdom to his treacherous uncle, but later on wins everything back with his determination and the help of his friends. This coming of age movie gives the message to the children that everything is possible in life if you have faith in yourself and your friends by your side. 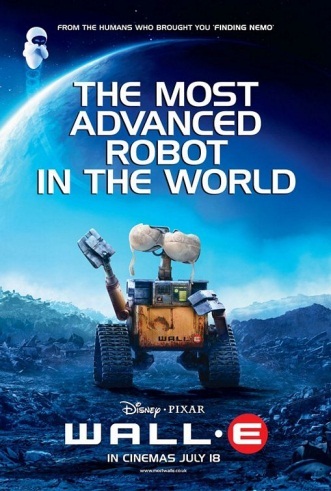 Description: Wall-E is another entertaining animated movie for kids. The story is about the robot Wall-E who recycles the trash left on earth, also called as Trash Planet in this movie, and then makes it into the amazing epic pyramids of detritus. Later, it falls in love with another robot that it finds on earth. This movie gives the message to the children that caring for the environment is important and they should also try to recycle things. Description: Toy Story 3 is a nice animated movie for children that is based on the adventures of toys owned by a boy named Andy. 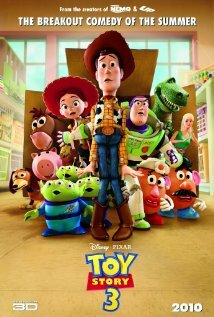 The film showcases the emotions of the toys as they are left behind by Andy when he moves to college. This movie gives the message of giving away or sharing our toys with other when they no longer play with us. 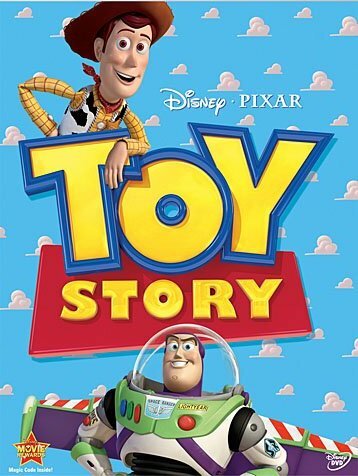 Description: Toy Story is considered by many experts to be the best animated movie for kids. It tells the story of two lost toys named Woody and Buzz Lightyear who make their way home after facing many challenges together. The movie’s theme is friendship and it teaches kids the lesson that through teamwork and unity, they can achieve anything in life. 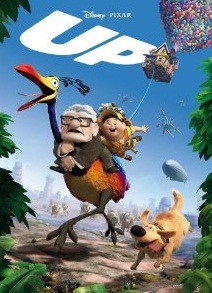 Description: Up is a beautiful animated movie for children that tells the story of an elderly man named Carl and his quest to fulfill the dream of his deceased wife. The film showcases Carl’s love for his wife and the bond of friendship he forms with a boy named Russell he meets during his adventures. The movie’s theme is based on love and second chances, and it teaches kids the valuable lesson of sacrifice and willpower. 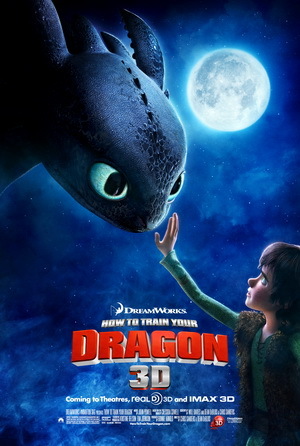 Description: How to Train Your Dragon is an action-packed and swashbuckling animated movie that kids are definitely going to like and enjoy. The movie is based on the friendship of a boy Viking and his dragon pet named Toothless. The movie gives kids the message of sacrificing and forgiveness, and tells them that violence is not the answer to the problems in life. 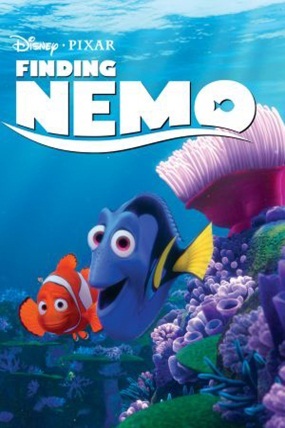 Description: Finding Nemo is an emotional yet entertaining animated movie for kids. It tells the story of a fish who is on the lookout for his missing son. The movie’s core message is about courage, determination and the love a dad has for his child. It gives the message that with true grit and determination, anything can be achieved in life. 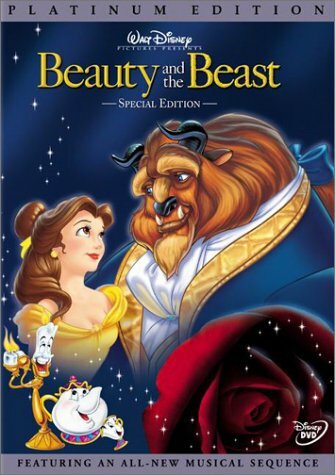 Description: Beauty and the Beast is a good animated movie for kids that tells the story of a selfish prince who after being turned into a beast due to his vanity by a witch tries to become human again by earning the love of a beautiful girl. This movie shows a romantic dreamlike love story. 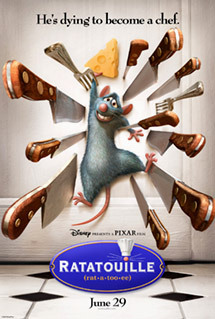 Description: Ratatouille is an entertaining animated movie for children that tells the story of a rat who wants to become a chef and ultimately achieves his dream even though he is told by many people that his dream is unachievable. This movie gives kids the message that if they truly believe in themselves and their dreams, then there is no force in the world that can stop them from achieving it. 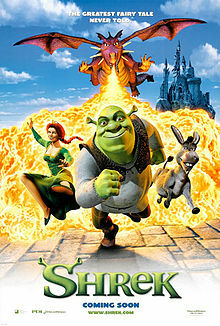 Description: Shrek is a nice animated movie for kids which is based on the story of Shrek, an ogre, and the adventures he has alongside his friend Donkey. The film gives the children the message of courage and determination, and tells them that physical appearance isn’t everything.